Crude Oil has been trading flat for about 12 months now. Since June 2016, WTI Crude Oil has traded at around $50, but now it is in a bearish downtrend. 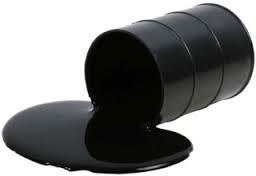 Investors are conserned, shorting and selling oil with both hands. Immediate concerns about stubbornly high stocks due to rising global production are pressing oil prices, which have fallen to levels not seen since the OPEC ministerial meeting at the end of November. According to IEA`s report, in April, total OECD stocks increased by more than the seasonal norm. For the year-to-date, they have actually grown by 360 kb/d. Their provisional monthly data for May suggests that OECD stocks might, overall, be little changed, but recent US weekly data suggests that rising domestic production, high imports, low exports, and weaker gasoline demand, have combined to send stocks higher. The implied market deficit in 2Q17 was 0,7 mb/d but now this has narrowed to 0,5 mb/d. The reason for this are a reduction in demand growth, mainly because of weaker Chinese and European data, and an increase in global supply. Based on our current numbers, assuming stable OPEC production, market deficits should be significant in 2H17, although adverse changes to demand and supply data can erode prospective stock draws. The focus is on US production, which, as anticipated in earlier forecasts, is rising strong. For 2017, IEA expect US supply to grow by 430 kb/d and the year will end with production there 920 kb/d higher than at the end of 2016. IEA`s first look at 2018 suggests that US crude production will grow year-on-year by 780 kb/d. Such is the dynamism of this extraordinary, very diverse industry it is possible that growth will be faster. In 2018, IEA expect non-OPEC production to grow by 1,5 mb/d, which is slightly more than the expected increase in global demand. While OPEC countries collectively have broadly implemented their cuts, some members have been less than holy diligent. Iraq has achieved a compliance rate of only 55% so far this year, and Venezuela and the UAE are laggards. Two OPEC members not included in the deal have recently seen increases in production: Libya`s output has reached nearly 800 kb/d, a level not seen since 2014, and Nigeria has announced the lifting of force majeure for Forcados exports, potentially making available to the market more than 200 kb/d. If Libya and Nigeria continue to grow their output these extra barrels dilute the value of OPEC`s output accord and contribute to delaying the re-balancing of the market. The currency used to express re-balancing is the five-year average level of oil stocks. OECD stocks are currently 292 mb above this level. Indeed, based on the outlook for 2017 and 2018, stocks might not fall to the desired level until close to March 2018. IEA have regularly counselled that patience is required on the part of those looking for the re-balancing of the oil market. Their message is; «Whatever it takes» might be the mantra, but the current form of «whatever» is not having as quick an impact as expected. What about the demand for Renewable Energy?